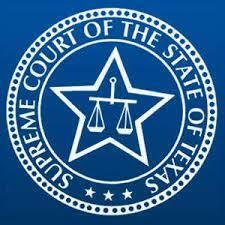 In 18-1179, Ramer Concrete Inc. petitioned an appeal to the Texas Supreme Court in a case with Juan Cardona. In 19-0010, Nawaid Isa petitioned an appeal to the Texas Supreme Court in a case with Ambit Energy and Centerpoint Energy Houston Electric. Petition denied in Kenneth W. Morrison, Stonecoat of Texas v. Procal Stone Design and John D. Profanchik Sr. In 18-1119, Kenneth W. Morrison and Stonecoat of Texas LLC petitioned an appeal to the Texas Supreme Court in a suit against Procal Stone Design LLC and John D. Profanchik Sr.
Texas Supreme Court denies petition for review in American Fisheries v. National Honey, et al. In 18-1177, American Fisheries Inc. petitioned an appeal to the Texas Supreme Court in a case against National Honey Inc., et al. In 18-1125, Jerry Perez, doing business as Lighthouse Investments, petitioned an appeal to the Texas Supreme Court in its case against Ditech Servicing LLC. In 18-1000, Dicex International Inc. petitioned an appeal to the Texas Supreme Court in a case against Roberto Avila Rodriguez. In 18-1139, Barton Food Mart Inc. petitioned an appeal to the Texas Supreme Court in its case against Nejla Botrie. Petition for review denied in Christopher Lenahan, doing business as CPL Services v. Michael Macs, et al. 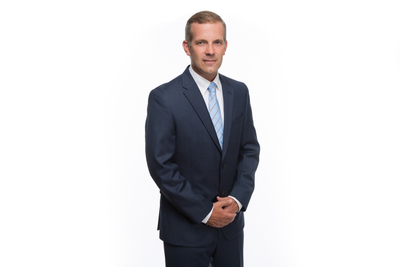 In 18-0940, Christopher Lenahan, doing business as CPL Services, petitioned an appeal to the Texas Supreme Court in a case against Michael Macs, High Cotton Holdings LLC, Ranger O&G Operating LLC and Ranger Exploration Corp. In 18-0959, Michael E. Miller petitioned an appeal to the Texas Supreme Court in a case against Lone Star HMA LP and Mesquite HMA General LLC. Petition for review denied in Pine Forest Investments Group v. the County of Bastrop, Texas, et al. In 18-0960, Pine Forest Investment Group LLC petitioned an appeal to the Texas Supreme Court in a case against the county of Bastrop, Texas; the Bastrop Independent School District; and the city of Bastrop, Texas. In 18-0982, Edwin Emenike petitioned an appeal to the Texas Supreme Court in his case against Progressive County Mutual Insurance Co. Petition for review denied in Capitol Life Insurance v. Metlife Investors Group, et al. In 18-1021, the Capitol Life Insurance Co. petitioned an appeal to the Texas Supreme Court in a case against Metlife Investors Group Inc., et al. In 18-1155, Beard Process Solutions Inc. petitioned an appeal to the Texas Supreme Court in a case against The Brandt Cos. LLC and Brandt Industries LLC. In 17-0744, Jessica Parker Valentine and Bryan L. Parker petitioned an appeal to the Texas Supreme Court in their case against Interactive Brokers LLC. In 18-0452, Houston Trust Co., as trustee of the Fredrick H. Crain Trust, petitioned an appeal to the Texas Supreme Court in the case against Mustang Minerals. In 18-0676, Chicago Title Insurance Co. petitioned an appeal to the Texas Supreme Court in a case against Cochran Investments Inc. In 18-0742, MoneyGram International Inc. petitioned an appeal to the Texas Supreme Court in its case against Demetri Theofanopoulos. In 19-0154, Federal National Mortgage Association v. Patrick Griffith and Connie Griffith, Federal National Mortgage Association sent a notice of appeal to the Texas Supreme Court. Appeal requested in case of Dr. Jesse Smith v. Crestview NUV LLC, et al. In 19-0151, Dr. Jesse Smith v. Crestview NUV LLC, et al., Smith sent a notice of appeal to the Texas Supreme Court. The Texas Supreme Court will hear the case of Pathfinder Oil & Gas Inc. and Cathlind Energy LLC v. Great Western Drilling LTD at 9 a.m. Thursday, Feb. 21.